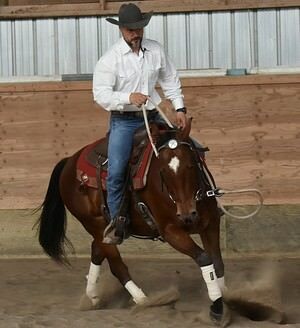 Welcome to Russ Krachun Kozak Horsemanship and the “True Grit” Academy! 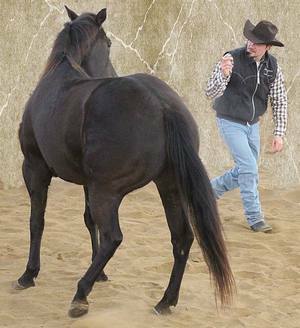 Russ Krachun shares his philosophy and his unconventional step by step methodologies of Kozak Horsemanship with you throughout the day with “free” seminars and demonstrations. Explanations and demonstrations about the programs of the “True Grit” Academy. The “True Grit” Academy offers students the opportunity to learn the equine educational programs of Kozak Horsemanship. This equine education offers three programs “Foundation”, “Intercommunication” and “Evolution” with unconventional philosophy and methodology in various levels that follow and connect to each other. Each program is designed to develop and advance the students horsemanship skills, improve physical and mental abilities in the student and provide the student with the knowledge of how to develop willing responses with the horse in order for the horse to reach his full athletic potential. “True Grit” Academy students also learn essential life skills that may be adapted and used within their own human communications and interactions.